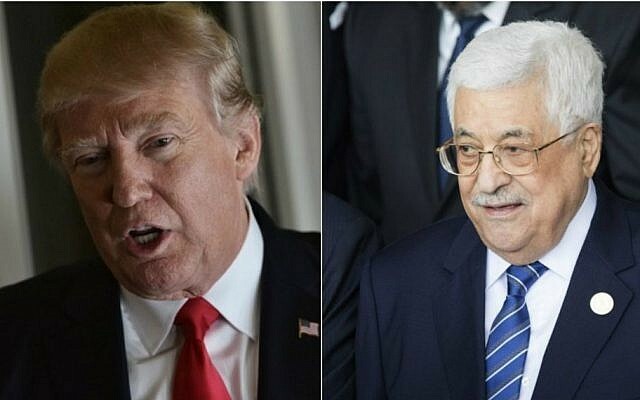 US President Donald Trump is expected to personally brief Palestinian Authority President Mahmoud Abbas following next week’s scheduled meeting between the American leader and Prime Minister Benjamin Netanyahu in Washington, an East Jerusalem-based Palestinian newspaper reported Saturday. According to Al-Quds, Palestinian sources also confirmed that Palestinian intelligence chief Majed Faraj held talks with US security officials in Washington over the past two days, the first such contacts between the Palestinians and the Trump administration. The paper said that Faraj had received “encouraging messages” from the US officials, who said Trump was seriously considering not moving the American embassy in Israel from Tel Aviv to Jerusalem, counter to his previous indications that he intended to do so. Faraj returned to Ramallah on Friday and relayed the content of his meetings to Abbas. There was no confirmation of the report from other sources. Haaretz also quoted Palestinian sources on Friday saying that the Palestinian leadership had received calming messages from Washington on talk of relocating the US Embassy from Tel Aviv to Jerusalem, as well as on the Trump administration’s attitude towards settlements and the two-state solution. 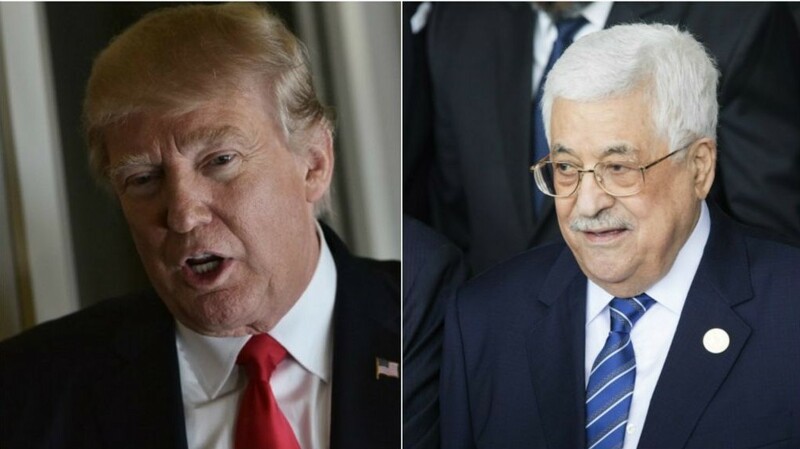 The Palestinian leadership reportedly believes Arab pressure in recent weeks, including by the leaders of Jordan and Saudi Arabia, has affected Trump’s views on the Israeli-Palestinian conflict. In an interview with Israel Hayom, conducted ahead of Netanyahu’s February 15 visit to Washington, Trump expressed strong support for Israel, but was plainly critical of the settlement enterprise. Last week, the White House issued a mild rebuke over a spate of approvals for new settlement homes, warning that expansion in areas Palestinians want for their own state “may not be helpful” to peace efforts. Regarding the conflict between Israel and the Palestinians, the president said his vision was for a peace deal for the entire Middle East, not one limited solely to the two sides. To that end, he said, he wanted both parties to behave in a reasonable manner. Up until this week the Palestinian leadership had said it had tried unsuccessfully to reach out to Trump since his election in November, and feared the possibility of being sidelined as the administration embraces Netanyahu. 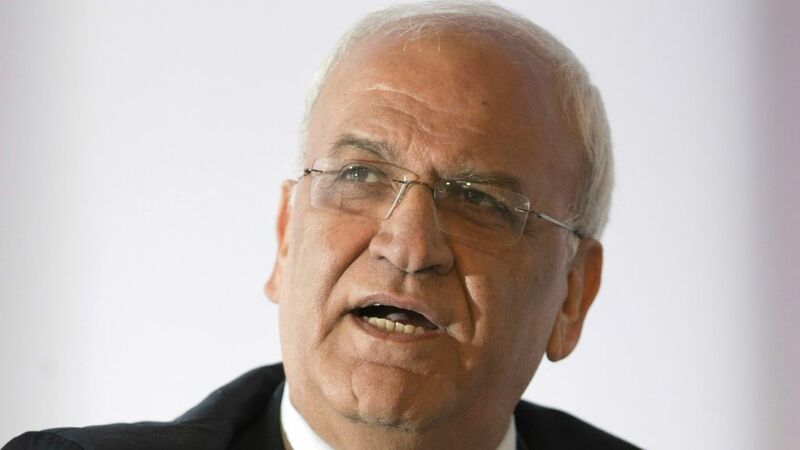 In December, the Trump transition team refused to meet with Palestinian officials visiting Washington, putting them off until after the Jan. 20 inauguration, according to senior Abbas aide Saeb Erekat, the main point man for official contacts with the United States. Other advisers say Abbas tried to arrange a phone call with Trump after the November election and again after the inauguration, but received no response to his requests. The White House did not respond to a January letter in which Abbas expressed concerns about possibly moving the US Embassy in Israel to contested Jerusalem. 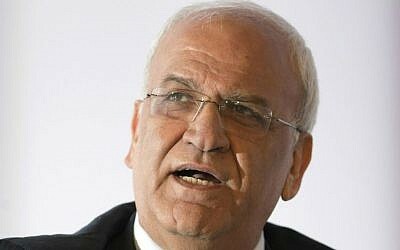 Erekat said last month that the White House had rebuffed every attempt to reach out to the new administration. “We have sent them letters, written messages, they don’t even bother to respond to us,” he told Newsweek. A strong relationship with the United States has been key to the Palestinian strategy for statehood. The US has served as the main broker in two decades of intermittent talks between Israel and the Palestinians. 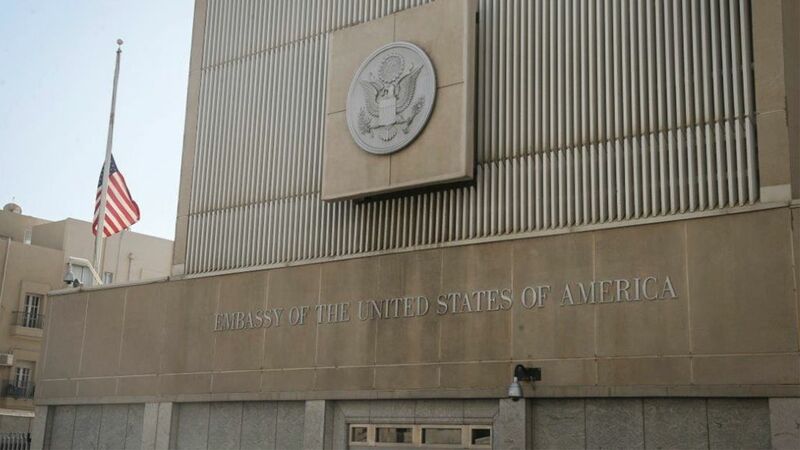 During his campaign, Trump promised to relocate the US Embassy from Tel Aviv to Jerusalem, a move some Israelis warmly welcome and which the Palestinians, and the Jordanians, have warned against. Since his inauguration on January 20, he’s been more vague about that pledge. The New York Times reported Thursday that, in order to move ahead with the peace process between Israelis and Palestinians, Trump was deliberating bringing in Arab states and embracing the “outside-in” approach favored by Netanyahu. The article said that both Trump and his Jewish son-in-law Jared Kushner — who has been designated the point man for the Mideast peace process — have found the idea appealing after meeting with a number of Arab leaders since the president assumed office in January.